Adopted in August 30, 1995 republican referendum. Came into effect on September 5, 1995 the day the results of referendum were published. The amendments and additions made by Law of the Republic of Kazakhstan of October 7, 1998, Law of the Republic of Kazakhstan of May 21, 2007, Law of the Republic of Kazakhstan of February 2, 20011. In accordance with the Decree of the President of the Republic of Kazakhstan of September 6,1995 № 2454 «Of the Constitution of the Republic of Kazakhstan» the original of the text of Constitution is kept by President of the Republic. 3. The administrative-territorial division of the Republic, the status of its capital shall determine by the law. 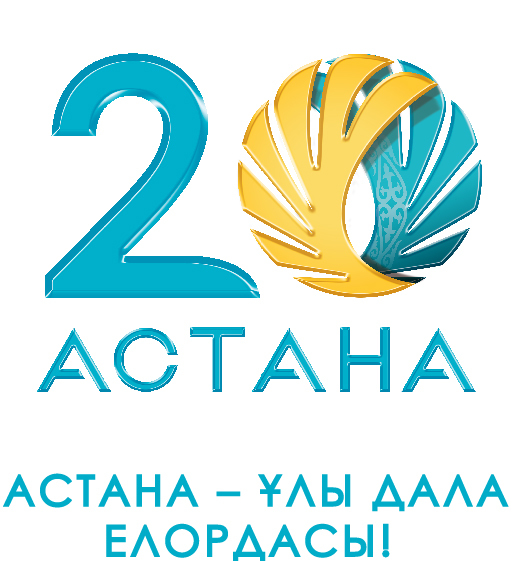 Capital of Kazakhstan is the city of Astana. 4. The names «Republic of Kazakhstan» and «Kazakhstan» have the same meaning1. 5. Activities of foreign religious associations on the territory of the Republic as well as appointment of heads of religious associations in the Republic by foreign religious centers shall be carried out in coordination with the respective state institutions of the Republic2. 4. It was excluded according to Law of the Republic of Kazakhstan 07.10.98 № 284-I. 5. The candidate who receives more than 50 percent of the votes of the constituents that took part in the election shall be deemed elected. If none of the candidates receives the above number of votes, a second round of elections shall be held between the two candidates who obtained the largest number of votes. The candidate who receives the larger number of votes of the constituents who take part in the second round of elections shall be deemed elected7. 1. The President of the Republic of Kazakhstan shall take office from the moment of swearing to the people the following oath: "I solemnly swear that I will faithfully serve the people of Kazakhstan, strictly observe the Constitution and the laws of the Republic of Kazakhstan, guarantee the rights and freedoms of the citizens, honestly perform the high duties of the President of the Republic of Kazakhstan entrusted to me. 5. One and the same person may not be elected the President of the Republic more than two times in a row. The present restriction shall not extend on the First President of the Republic of Kazakhstan8. 2. It was excluded according to Law of the Republic of Kazakhstan 21.05.07 № 254-III. 21) exercise other powers in accordance with the Constitution and the laws of the Republic9. 2. In the case envisioned by subparagraph 4 of Article 53 of the Constitution the President of the Republic shall issue laws, and in the case envisioned by subparagraph 2 of Article 61 of the Constitution, — the President of the Republic shall issue decrees having the force of laws in the Republic. 4. The status and powers of the First President of Kazakhstan shall determine by the Constitution of the Republic and the constitutional law10. 3. The issue of discharge of the President of the Republic from office may not be initiated in the period when the President is considering premature termination of the powers of the Parliament of the Republic or the Majilis of the Parliament11. 1. In case of premature release or discharge of the President of the Republic of Kazakhstan from office as well as in case of his death the powers of the President of the Republic shall be transmitted to the Chairperson of the Senate of the Parliament for the rest of the term; if the Chairperson of the Senate is unable to assume the powers of the President they shall be transmitted to the Chairperson of the Majilis of the Parliament; if the Chairperson of the Majilis is unable to assume the powers of the President they shall be transmitted to the Prime Minister of the Republic. A person who has taken the powers of the President of the Republic shall correspondingly withdraw his powers of the Chairperson of the Senate, the Majilis, the Prime Minister. In this case filling of those state positions shall be carried out in the order, stipulated by the Constitution. A person who has taken the powers of the President of the Republic of Kazakhstan, on the basis and in the order stipulated by Paragraph 1 of the present Article, has no right to initiate amendments and additions to the Constitution of the Republic of Kazakhstan12. 2. Parliament’s powers shall begin from the opening of its first session and terminate with the first session of a new convocation. 4. The organization and activities of Parliament, the legal status of its deputies shall be determined by constitutional law13. 1. The Parliament shall consist of two Chambers acting on a permanent basis: the Senate and the Majilis. 4. A deputy of the Parliament may not be a member of both Chambers simultaneously. 5. Term of the powers of Senate deputies shall be six years; term of the powers of the Majilis deputies shall be five years14. 3. Extraordinary elections of the deputies of the Parliament or the Majilis of the Parliament shall be held within two months from the day of premature termination of powers accordingly the Parliament or the Majilis of the Parliament. 6. A deputy shall take an oath before the people of Kazakhstan15. 1. It was excluded according to Law of the Republic of Kazakhstan 21.05.07 № 254-III. 3. A deputy of Parliament shall have no right to be a deputy of another representative body, hold other paid offices, except teaching, research and creative activities, engage in entrepreneurial activity, and enter a managing body or a supervisory board of a commercial organization. Violation of this rule shall result in the termination of a deputy’s powers. 2) termination of activity of political party from which according to the constitutional law the deputy is selected. Powers of the appointed deputies of the Senate of the Parliament shall be ahead of schedule stopped under the decision of the President of the Republic. Powers of deputies of the Parliament and the Majilis of the Parliament stop in dissolution cases accordingly the Parliament and the Majilis of the Parliament. 6. 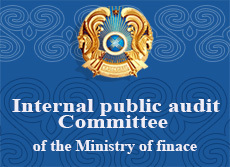 Preparation of questions concerning the imposition of penalties on the deputies, their observance of the requirements of paragraph 3 of this article, principles of the deputies’ ethics, as well as termination of the deputies’ powers and deprivation of their powers and deputy immunity, shall be delegated to the Central Election Commission of the Republic of Kazakhstan16. 8) exercise other powers assigned to the Parliament by the Constitution17. 3) display the initiative about appointment of a republican referendum18. 6) realization of other powers assigned by the Constitution on the Senate of the Parliament19. 4) realization of other powers assigned by the Constitution on the Majilis of the Parliament. 2. The Majilis by a majority of votes from total number of deputies of the Majilis at the initiative of not less than one-five from total number of deputies of Majilis has the right to express a vote of no confidence in the Government20. 8) adopt procedural orders of their activities and other decisions on the issues connected with organization and the internal routine of the Chambers21. 5. The chairpersons of the Chambers shall issue instructions on the items of their jurisdiction22. 1. Parliament’s sessions shall proceed in the form of joint and separate sessions of its (chambers). 6. Joint and separate sessions of the Chambers shall be open. In cases stipulated by the procedural orders, sessions may be closed. The President of the Republic, the Prime Minister and members of the Government, the Chairperson of National Bank, the Procurator General, the Chair-person of the Committee of National Security shall have the right to be present at any session and be heard23. 11) ensuring defense and security of the state. All other relations shall be regulated by legislative acts. 4. A draft of law considered and approved by the majority of votes from the total number of the deputies of the Majilis shall be transmitted to the Senate where it shall be considered for no more than sixty days. A draft of law approved by the majority of votes of the total number of deputies of the Senate shall become the law and shall be submitted to the President to be signed within ten days . A draft of law rejected as a whole by the majority of votes from the total number of the Senate’s deputies shall be returned to the Majilis. If the Majilis approves the draft of law again by the majority of two-thirds of votes from the total number of its deputies, it shall be transferred to the Senate for a second discussion and voting. A twice -rejected draft may not be submitted again during the same session. 5. Amendments and additions to a draft of law proposed by the majority of votes from the total number of the Senate’s deputies shall be sent to the Majilis. If the Majilis by the majority of votes from the total number of its deputies agrees with the proposed amendments and additions, the law shall be deemed to be adopted. If the Majilis by the same majority of votes objects to the amendments and additions proposed by the Senate, the disagreement between the Chambers shall be resolved through conciliatory procedures. 6. Drafts of law envisioning reduction of state revenues or increase in state expenditures may be submitted only when supplied with the positive resolution of the Government of the Republic. For drafts of the acts brought in Majilis of the Parliament as the legislative initiative of the President of the Republic, presence of such conclusion shall not required. 7. In the case when of a draft of law submitted by the Government is not adopted, the Prime-Minister shall have the right to raise an issue of confidence in the Government at a joint session of the Chambers. Voting on this issue shall be held not earlier than within forty-eight hours from the moment of calling for a vote of confidence. If the call for a vote of no confidence does not receive the majority of votes from total number of deputies of each of Chambers, a draft of law shall be deemed adopted without voting. However, the Government may not use this right more than twice a year24. 7. Laws of the Republic, resolutions of the Parliament and its Chambers must not contradict the Constitution. Resolutions of the Parliament and its Chambers must not contradict laws. 8. The procedure for development, submission, discussion, bringing into effect and promulgation of legislative and other regulatory legal acts of the Republic shall be regulated by a special law and the procedural orders of Parliament and its Chambers25. 2. The Parliament and the Majilis of the Parliament may not be dissolved in the period of a state of emergency or martial law, during the last six months of the President’s term, as well as within a year after a previous dissolution26. 4. The jurisdiction, the procedure of organization and activity of the Government shall be determined by constitutional law27. 9) It was excluded according to Law of the Republic of Kazakhstan 07.10.98 № 284-I. 10) perform other functions assigned to it by this Constitution, laws and acts of the President28. 5) perform other functions connected with organization and supervision of the Government’s activity29.